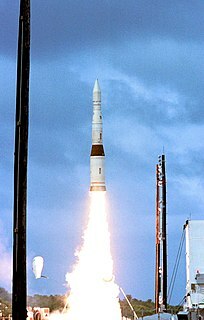 The Strategic Defense Initiative (SDI) was a proposed missile defense system intended to protect the United States from attack by ballistic strategic nuclear weapons. 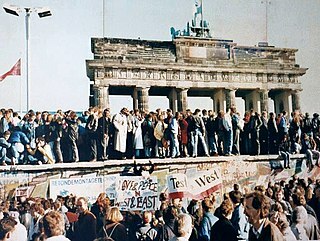 The concept was first announced publicly by President Ronald Reagan on 23 March 1983. Reagan was a vocal critic of the doctrine of mutual assured destruction (MAD), which he described as a "suicide pact", and he called upon the scientists and engineers of the United States to develop a system that would render nuclear weapons obsolete. Chevaline was a system to improve the penetrability of the warheads used by the British Polaris nuclear weapons system. 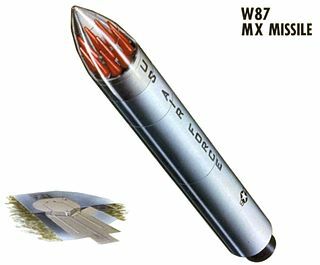 Devised as an answer to the improved Soviet anti-ballistic missile defences around Moscow, the system increased the probability that at least one warhead would penetrate Moscow's anti-ballistic missile (ABM) defences, something which the Royal Navy's earlier UGM-27 Polaris re-entry vehicles (RV)s were thought to be unlikely to do. National missile defense (NMD) is a generic term for a type of missile defense intended to shield an entire country against incoming missiles, such as intercontinental ballistic missile (ICBMs) or other ballistic missiles. 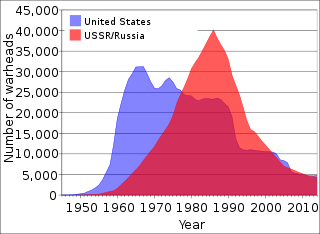 The Intermediate-Range Nuclear Forces Treaty was an arms control treaty between the United States and the Soviet Union. U.S. President Ronald Reagan and Soviet General Secretary Mikhail Gorbachev signed the treaty on 8 December 1987. 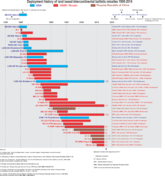 The United States Senate approved the treaty on 27 May 1988, and Reagan and Gorbachev ratified it on 1 June 1988. 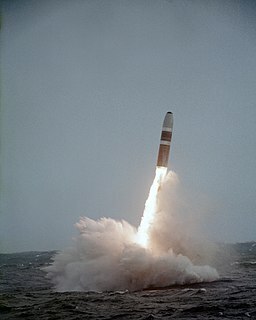 The UGM-133A Trident II, or Trident D5 is a submarine-launched ballistic missile (SLBM), built by Lockheed Martin Space Systems in Sunnyvale, California, and deployed with the American and British navies. It was first deployed in March 1990, and remains in service. The Trident II Strategic Weapons System is an improved SLBM with greater accuracy, payload, and range than the earlier Trident C-4. It is a key element of the U.S. strategic nuclear triad and strengthens U.S. strategic deterrence. 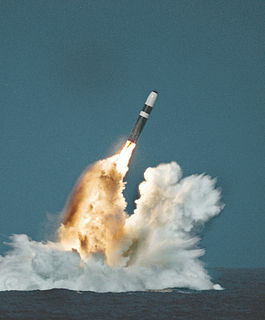 The Trident II is considered to be a durable sea-based system capable of engaging many targets. It enhances the U.S. position in strategic arms negotiation with performance and payload flexibility that can accommodate active treaty initiatives. The Trident II's increased payload allows nuclear deterrence to be accomplished with fewer submarines, and its high accuracy – approaching that of land-based missiles – enables it to be used as a first strike weapon.